If you’re like most owners and operators of call centers around the world, you hate the hiring process. It’s not that you don’t look forward to filling open positions with talented, motivated employees – it’s just that it seems difficult to find those employees and even harder to get them to stay in those positions once you’ve filled them. It’s enough to make anyone dread the process of hiring call center agents and wonder if there’s a better way. The truth is, there is a better way. Most managers like to think they’ve got hiring all figured out, but there are some smart strategies that will make it both easier and more effective if you know how to put them to work in your center. What does a great call center agent look like? More importantly, what does a great call center agent’s performance look like? This is a question you will need to ask yourself before moving forward with any other part of the hiring process. Building a profile that shows your hiring staff exactly what you’re looking for in an “ideal” agent will give them a benchmark to work toward in finding talent to fill open positions. There are numerous ways to determine what kind of agent is the perfect fit for your center. Maybe you prefer experience. Maybe you won’t interview anyone without knowledge of the specific industry you’re working in. Perhaps you even insist on someone being fluent in multiple languages in order to sit through an interview for the open positions you have. Whatever it is you want in an agent, be sure to outline this upfront, so you can refer back to it during the interview process. The questions you ask during the interview process may become generic over time, especially if you hire often. When it comes to call centers, this is an unfortunate side effect of the industry; high turnover rates mean hiring is a frequent task. Don’t let that make your interview questions so generic they cease to benefit you, though! To hire call center agents that are worth your staff’s time and resources, be sure to ask specific, industry-focused questions during the interview process. This will give potential new agents the opportunity to show you right away how qualified they are to join your team – and whether they have the skill and experience to handle these kinds of questions. Ask for specific examples of how these potential new agents have handled similar scenarios in the past, or how they would handle an example you give them during the interview. The more specific you can be during this time, the better your outcomes will be later. Many call center operators use role-playing as a method to test the skill and experience of a potential agent during the interview process. However, there is a right and wrong way to approach this method – and doing it right can be a great way to hasten the interview process overall and help you find the right candidates right away. Use as many details and scenarios from real calls and exchanges with consumers as possible when role-playing with your potential new agents. This will give them a taste of what may lie ahead if they get the job, as well as giving you a look at how they handle these tasks. Are they calm under pressure? Do they think well on their feet? Are they always courteous, regardless of the situation? If so, they may be the perfect candidate for the job. There is a reason why managers today know to hire diverse staffs comprised of agents from all walks of life. 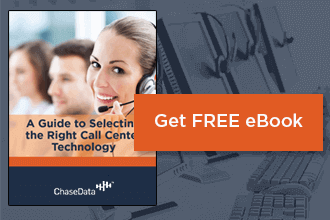 There is no one look that defines a great call center agent. While you may want to hire experienced agents, a younger member of staff may be a breath of fresh air to the rest of the team. Likewise, an older person may be a refreshing new hire when the rest of your staff is primarily comprised of millennials. You never know what a person might bring to your team until you give them a chance! The best way to find a great call center agent is to listen to what they have to say during their interview. Let their talent and experience speak for them and really analyze what those things say to you as a manager. When you listen rather than simply look at an applicant and their background, you begin to see what a person can bring to the table, rather than what they come to the table with. As mentioned previously, hiring is a regular occurrence in the world of the contact center. While that can be frustrating, it doesn’t have to be all bad. There are ways to turn frequent hiring into frequent learning experiences for your managerial staff. Always end the hiring process by asking for feedback from your interviewees. Even those who do not end up getting the job may have valuable feedback to offer. Those that do may go on to help you hire the next round of agents. Review what works well in each round of hires and what seems to get the best response so you can use that information in your next round of hires. Focus on improving your approach every time. Still looking for more information about hiring call center agents the right way? Talk to the industry experts at ChaseData about getting the right tools and technology in place to make hiring a simpler process – and one that doesn’t put such a drain on resources. In no time at all, you’ll go from dreading hiring new agents to enjoying the process and loving the talent you hire!